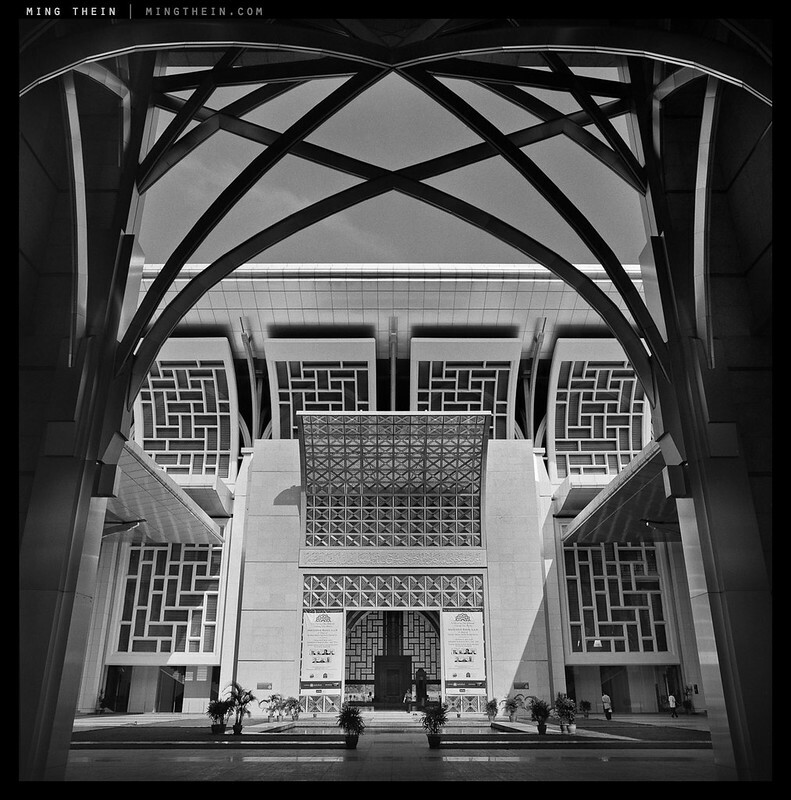 One of my favourite buildings in the country is the Tuanku Mizan Zainal Abidin Mosque – also known as the Iron Mosque due to its stainless-steel clad structure. 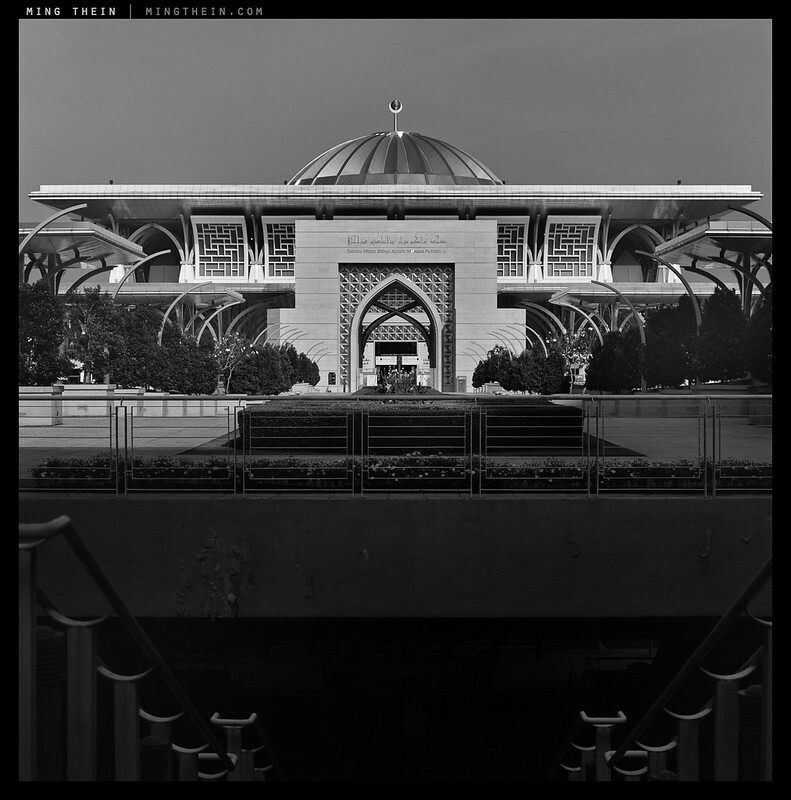 It’s a very modern building located in the administrative capital, Putrajaya, that still manages to integrate traditional culture and religious cues into its design. These, together with its scale, location on the Putrajaya lakefront and sight lines, make it quite a spectacular building. Always enjoy your architecture essays, Ming, because of your great art & skill and because it’s a special interest of mine (looking at – I’m too crap to do it myself yet). #3 has great poise and appeals to the classicist in me; and I’m especially taken with #6, where a seemingly ‘boring’ and even ‘intrusive’ element (the parapet or step at lower left) actually adds remarkable textural, tonal and geometric variety and interest. Trust you to see that and to use it in such a bold way! Thank you. I suppose it doesn’t do any harm that I am Muslim, but in this part of the world at least – so long as one is respectful of other worshippers, it’s generally fine. Great, clean architectural shots! Looks like a pretty interesting place. Is it a big no no to take pictures of people inside? It’s culturally a bit sensitive. Impressive building and photos. I like the most the symetrical ones. Super quality. Ming, why you forgot to take along SWC, the king of distortion free interior shooting machine. It`s architecture where it shines. Otherwise cool pictures. Alright, I’ll leave out the superlatives. Superlative stuff. Incredible photography! Ellegant with architectural feel. Thank you Ming, for expressing this beauty so well. That is one very interesting and unusual building nicely captured. 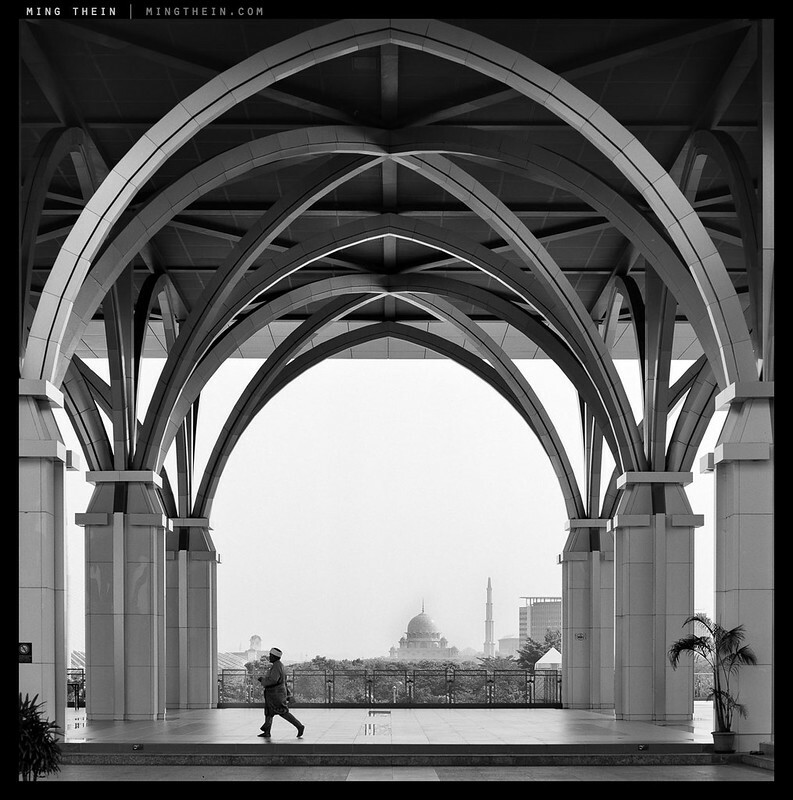 Hi Mr. Ming, a great set of photographs and compositions, the fourth photo has a taste of arabian nights, actually in that photo Putrajaya (city I didn’t know until your post) seems a city from a fantasy. About the style as architect I think, yes it could be brutalist (I am not sure because the photos are in black and white, searched in internet and I see white colors that could be from the material or paint or a covering). 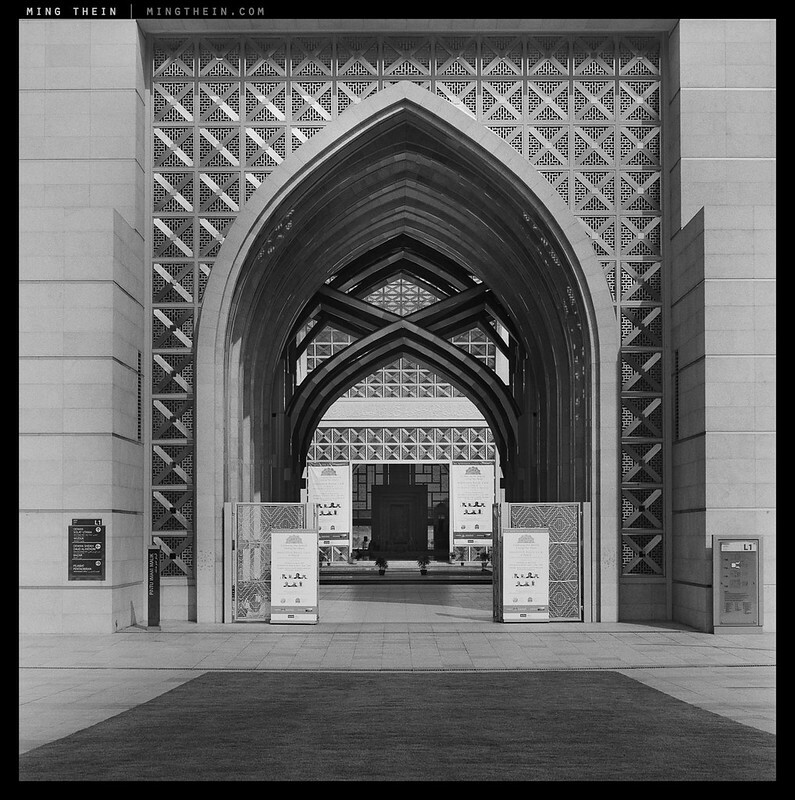 I wouldn’t call it minimalist because I think the architect think more in the essence of the Mosque in the history but not in use a minimal language. I think that beautiful building could be more a postmodernist style, there are elements high tech, historicist, perhaps brutalism too. 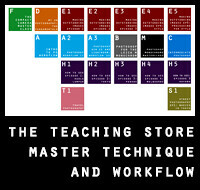 But without being there or study it better I just can agree that it is a wonder. 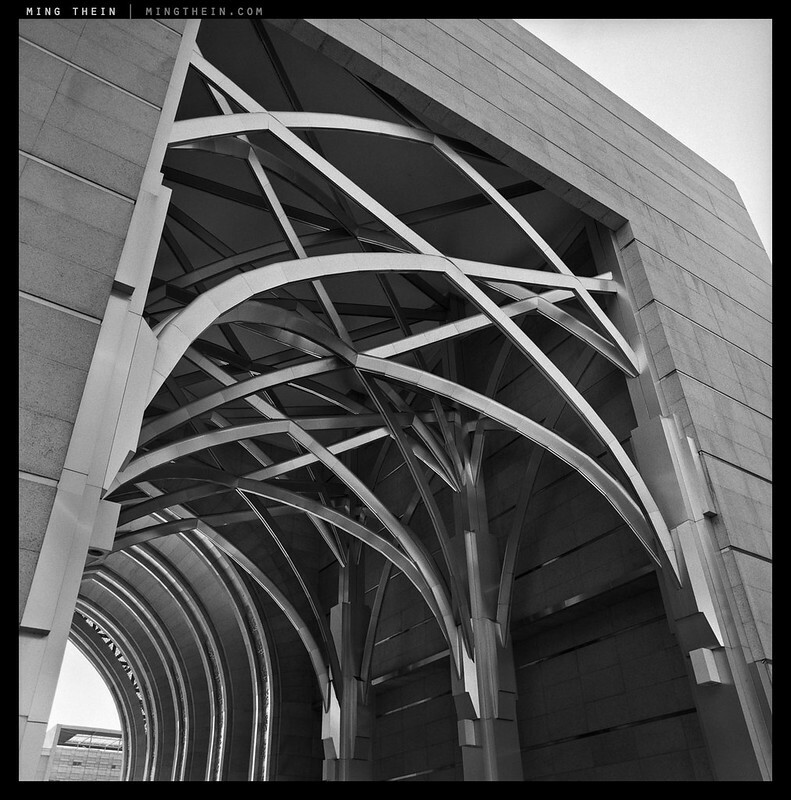 Said that I am a bit curious about the idea that photographers have when make compositions using architecture. I mean, we as architects have to study several variables to compose the space and certainly it is a design that also can express ideas that can be similar to the ideas that artists try to express, although always has to be utilitarian but it just would end in a monument and not in architecture. 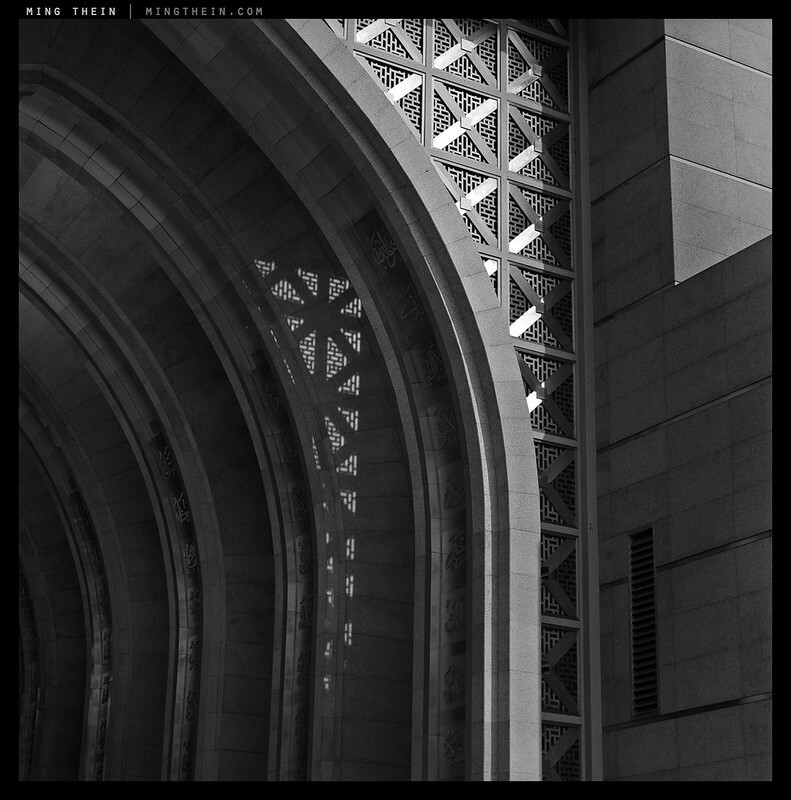 But… some weeks ago I read to another photograph say that he didn’t feel comfortable to use statues as part of his photographs because he think that would be a derivative work, but he has a ton of architecture photographs, several important buildings that born in the mind of an architect. In my opinion architecture photography is not derivative, because the architecture is another thing in four dimensions and photography is another thing in two dimensions, so I hope to know your opinion about it would be a derivative art to photograph a element that came from the mind of a designer (similar to the way a paint from a painter, a photograph from a photographer, etcetera), I see your great work and I appreciate much your time. Thanks. Francis, it will be interesting to hear MT — and anyone else’s — take on your questions. But, if you don’t mind, could I jump in and ask you a question, about architecture? As I say, these are devotional buildings and their proper use is as far from moneymaking and economics as it gets. Historically, these kind of structures were tributes to God—but can anyone, does anyone, even think like that anymore? Hello Tom, thanks for your questions, and yes, I find these photographs, these compositions, fascinating too. This building could be designed for a team of architects (two or three maximum) or for one architect, supported of course for drawers and other designers to see details and the team of engineers. Actually the design in architecture is a process that balance several sides: thus the architect see the site in the open space of the city with their skies and towers and the building is open to them and the weather and surroundings; there is also the religious side, so perhaps it is open because the sky and nature is from God; the historical side but not copying the old mosques but using their essence in the arcs, vaults, and jalousies with honest and modern materials like metal; and of course there is the client/user and the government who pays it, it’s a public space so the client actually are the citizens that practice their faith there, with their special characteristics. Being this mosque a public space is probable that it was the result of a democratic process with a competition with a jury of architects and citizens, so the vision of the architect is based in several variables, the way to respond to them and even create with the architecture more questions is what makes that every architect have a unique way to design the same problem. And by the way we cannot make a design without think in the client’s budget, I have done minimal house for families with limited resources and designed the best with economic materials, I put the same effort and the budget is also a variable to consider to the design, there is no excuses to not make a well designed building with dignity, even if it is with adobes (indeed a great material) or structural glass with aluminum and titanium. In short the design evolve and take the most importance to the site, the people that it’s going to use it (that not always is the people whom pays it), the budget, the weather and contexts, the history, and the sensibility, knowledge and ideology of the designer. If I had to understand the idea of the architect Kumpulan Senireka Sdn Bhd, I would say “a space in the heart of this time and this city dedicated to the open and free reunion of the person with the creator” for that the gates are always open as a symbol to entrance to sacred spaces but not as symbols of closing spaces. Some time ago I read about a sculptor that sue the us postal service for use his monument to heroes in a photograph to a stamp. I find that ridiculous because it was a public monument, then propriety of the city, the same way a public building (and the facades of the private buildings) are from the city and would be ridiculous ask for economic retribution every time they are in a postal. But in part I think that is easy forget that the buildings came from a designer so it has the same anonimous level as landscape photograph and it is considered so different to take photographs to a paint, monument or even another photograph. Just two cents to add: if you’ve got to design something that works with a very small budget, it’s going to be even more difficult than if you’ve got a big one simply because there are far fewer options to work with…cheaper does not mean easier, I think. Francis, thank you. Talk about fascinating! I enjoyed reading that. I agree with you on the postal stamp image by the way; but it is a difficult topic—without that designer’s creativity that specific monument would never have existed. And again, this said, it is CRAZY for him to declare copyrights on it once it’s a part of the public’s life and space. The renaming of old sports stadiums to a Sponsor’s title reminds me of a similar point. 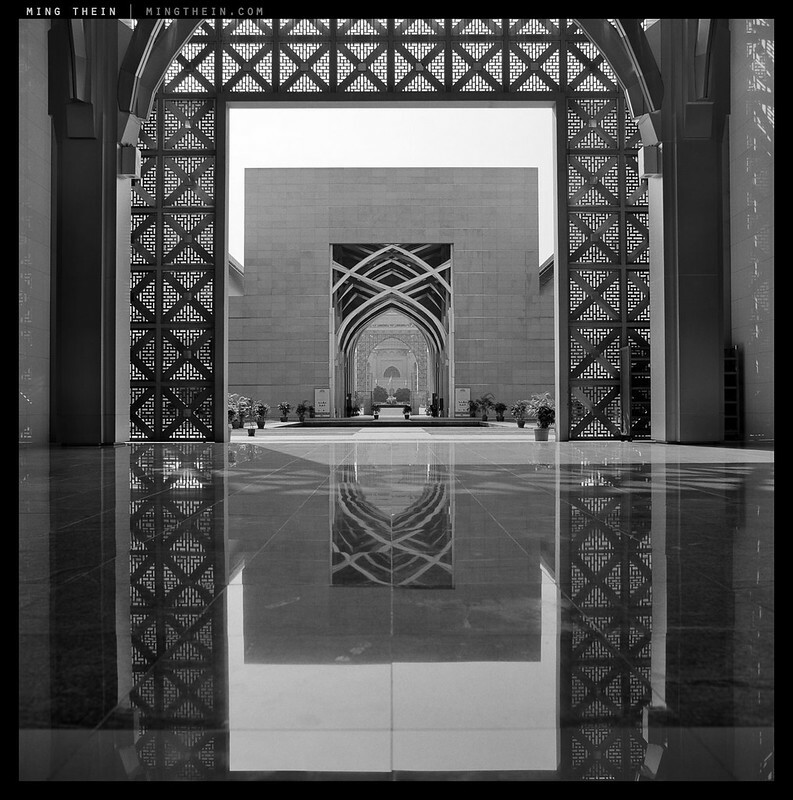 Just to add from what I can gain from the mosque’s website, is that the design elements is a combination of Germanic and Chinese art form. I’m not sure what that mean, anybody care to guess? The teutonic steel and the metal screens used to divide up the different areas, perhaps? I can’t help but think statues as a whole are somewhat different to buildings in the sense that they are an obvious representation of them; a building is so large and has so many different approaches/ angles of view that it’s impossible to capture everything simultaneously. When photographing architecture I look for textures, geometry, and the relationship between the space and the users; that’s about it. If I’m photographing it in the abstract, then it’s just a question of interesting forms and lines. It’s very different to photographing a whole building (or statue) – and a lot of the time, it’s physically impossible to. If I’m commissioned to do so, then I think of it very much like a product photograph for a statue (or other object) – except we have no control over lighting, since the thing is so enormous…it’s almost as though it’s presented to us and all we do is capture it. Stunning images as usual! Regret that I did not have time to go round it when I was in Putrajaya a couple of years ago. Did you copy the negatives wit a D800E ? Can I have more info about it? 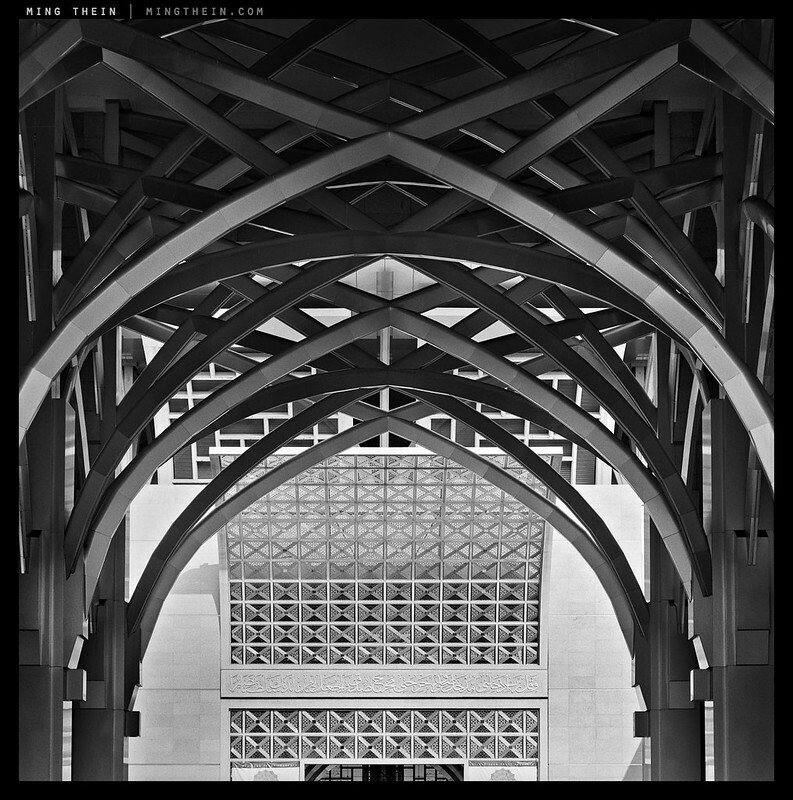 Sorry: INCREDIBLE shots of an astounding architecture—thanks for sharing! 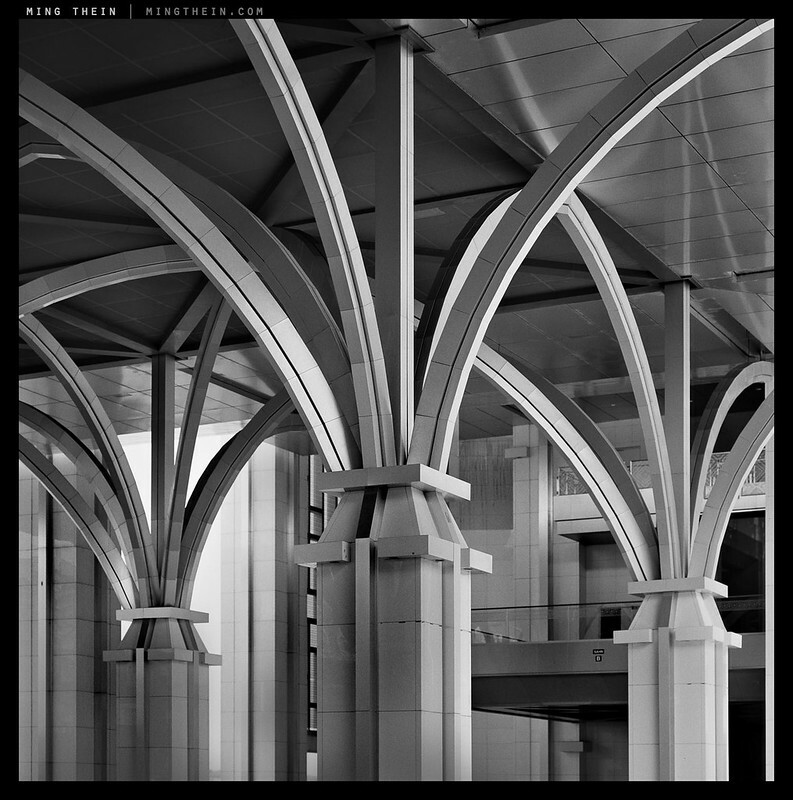 Interdible shots of an astounding architecture—thanks for sharing! Beautiful building and excellent photos. I just came back from Malaysia, but didn’t manage to visit Putrajaya. Next time maybe – I just fell in love with Malaysia and I’m sure I’ll get there back quite soon. 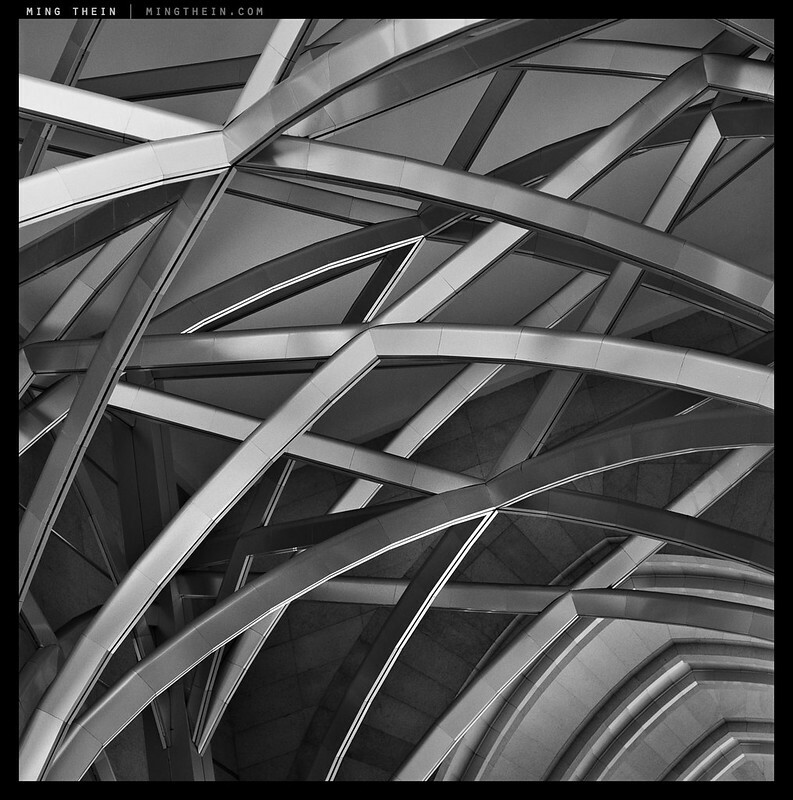 Some gorgeous tonality your eeking out of those D880E files. 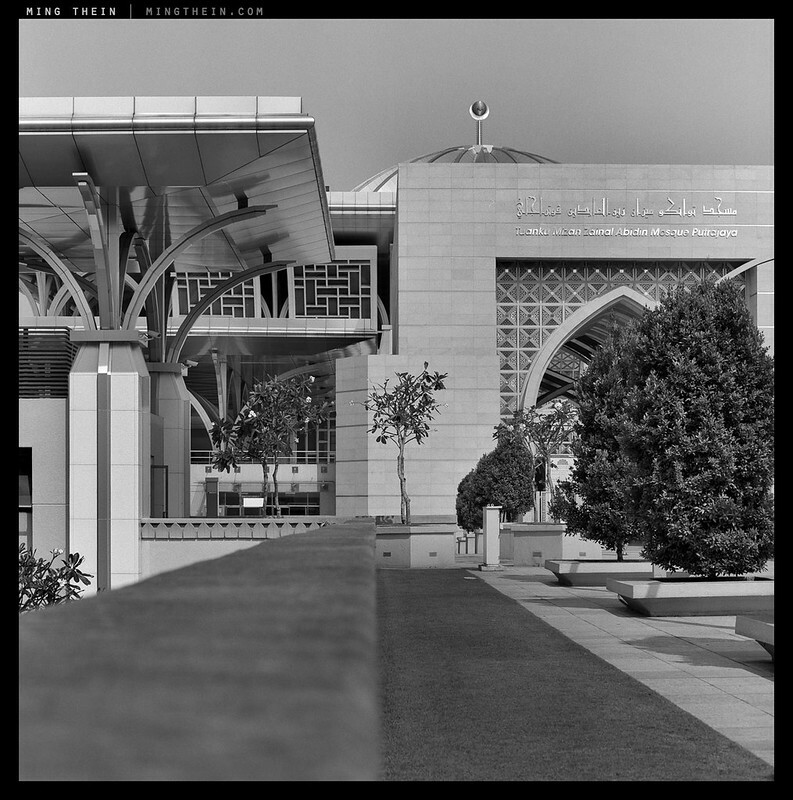 The square crop approach actually helps take the sting out of being between medium format film cameras : ) Nicely done. Hi Ming, the architect is Kumpulan Senireka Sdn Bhd.